While we were all in Leakey, I helped host a baby shower honoring Leslie and Mitchell along with friends, Jessica and Dianne. If you couldn't guess based on the previous post, the theme was Caterpillar. We used lots of toy CAT equipment and black and yellow decorations. There was a great turn out, and Leslie and Mitchell got lots of great things. Here are a couple of pics. There are more in the album. 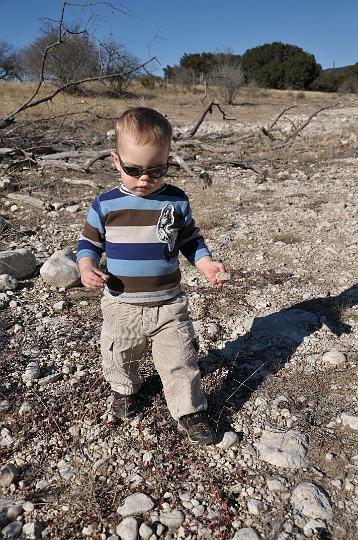 While we were busy partying, the boys took another trip around the ranch. 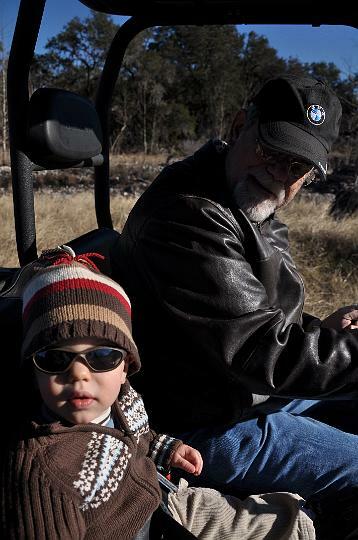 This time Jackson got to ride with Grandad! More pics of the ranch ride in the album.